Pingouin is an open-source statistical package written in Python 3 and based mostly on Pandas and NumPy. Pingouin is designed for users who want simple yet exhaustive statistical functions. 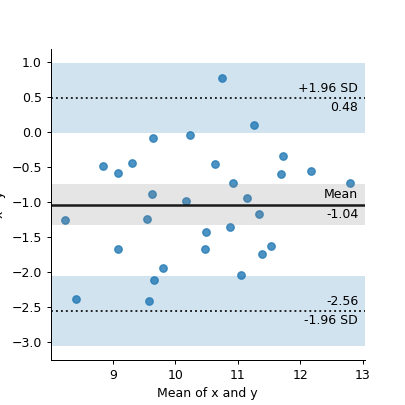 For example, the scipy.stats.ttest_ind() function returns only the T-value and the p-value. By contrast, the pingouin.ttest() function returns the T-value, p-value, degrees of freedom, effect size (Cohen’s d), statistical power and Bayes Factor (BF10) of the test. Pingouin is a Python 3 package and is currently tested for Python 3.5, 3.6 and 3.7. Note that Pingouin does not work with Python 2.7. 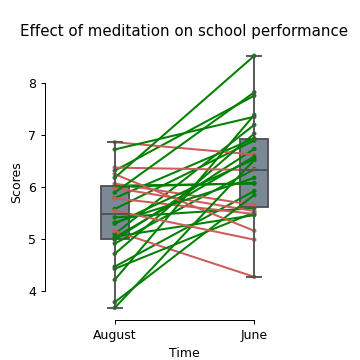 Click on the link below and navigate to the notebooks/ folder to run a collection of interactive Jupyter notebooks showing the main functionalities of Pingouin. No need to install Pingouin beforehand, the notebooks run in a Binder environment. 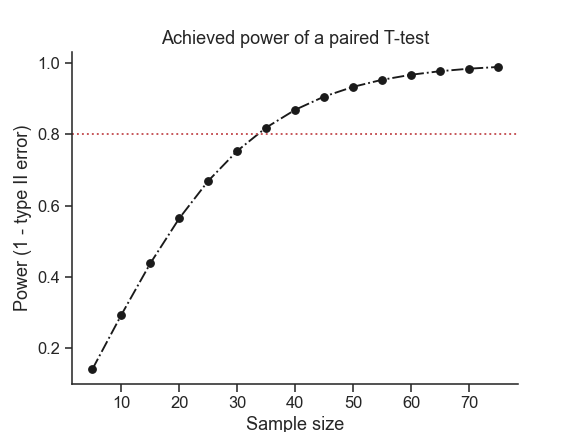 Plot the curve of achieved power given the effect size (Cohen d) and the sample size of a paired T-test. Pingouin was created and is maintained by Raphael Vallat. Contributions are more than welcome so feel free to contact me, open an issue or submit a pull request! Note that this program is provided with NO WARRANTY OF ANY KIND. If you can, always double check the results with another statistical software. 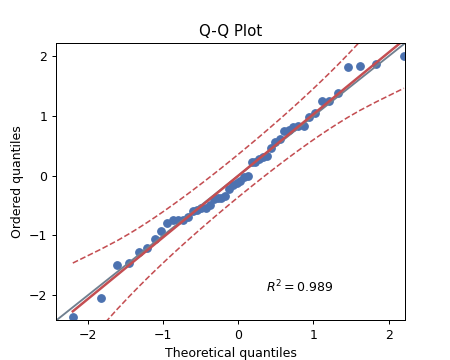 I am also grateful to Charles Zaiontz and his website www.real-statistics.com which has been useful to understand the practical implementation of several functions.